Utilized new material Fin-aluminum which has excellent thermal dissipation capability to conduct the thermal away from LED quickly, that will ensure the lighting lifespan last longer. 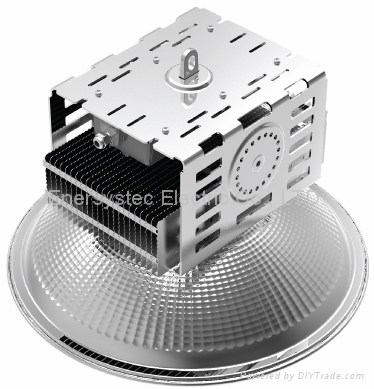 The product weight reduced 50% compared with existing LED highbay light, that can save a lot of cost for the shipping, especial for the bulk orders, that will reduce the product cost so much. Used Latest technology to produce the fins aluminum housing to ensure the product quality, and increased the production yield. 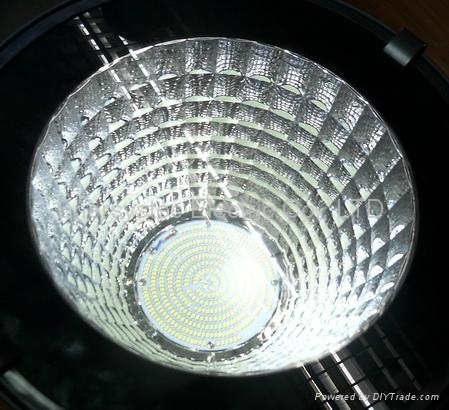 Mounted USA CREE XPE R4 LED chipset as light source, the light efficiency can reach to 130LM/W. 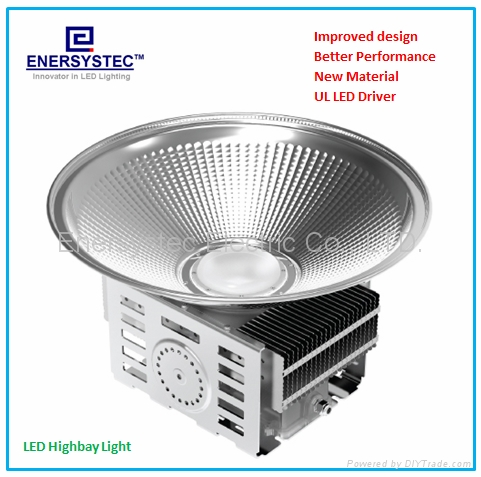 The LED driver was certified by UL, PSE, CE, TUV etc. Waterproof design with IP65, easy for clearance by water. The 200W LED High-bay lighting can replace the 400W HPS light, with feature of Low heat generation, High efficiency, Energy saving & Environmental protection and high reliability. Compared with traditional lighting, the LED light has longer life time, that will reduce the maintenance cost every year. No UV & IR, No radiation, No electromagnetic interference, Energy saving and environmental protection, No hazard material as Hg & Leads etc.